The great glyphosate debate has been rumbling on and on for the past few months, both camps have been rather vocal in their condemnation of each other’s facts and reports one report saying it could cause cancer and another say it doesn’t, it has covered the whole discussion in a smoke screen of confusion. So I thought I would try and muddy the waters even more with my little view on the subject. I suppose I have been using chemicals like roundabout since coming a professional gardener and passing the PA1 and 2, that allows all professionals to use chemicals, ones a basic measuring test, working out how much we need to use in a certain area etc and the next part is more about using the equipment ie the knapsack sprayer. That was it, I have been using them ever since and seen some big changes with the chemicals we can use and our thought processes using them. Quite a few chemicals have disappeared from our use and new ones come in, reaching for chemicals isn’t also the first thing we reach for when dealing with some insect problems. I personally don’t like using them at all. I have had a few things go wrong using them, first time as when 20litres of mixed paraquat managed to leak all over my back, though the spray suit and on to my clothes, for those who don’t remember paraquat, it was a truly horrid chemical that was used to control weeds by chemically burning the leaves and killing the weeds. It was also highly toxic and it stank! Didn’t get any problems from it but a few years later I managed to get a lungful of soil sterilant when the 24 hrs it was supposed to take before working ended up being about 24 seconds, it wasn’t pleasant and led me to having 3 day’s off sick. But it is weed control in the form of glyphosate that is in the news at the moment as the EU decides whether to reissue the license for another 15 years. It is reportedly one of the safest chemicals to use in the garden and one that deactivates when it comes into contact with soil. But there are some reports that suggest it may cause cancer. Cancer is a terrible illness and people are right to be concerned about anything that can be a factor in causing it and I certainly agree that more and more research is needed into it. But I think the thing that frustrates me is that the two biggest causes of cancer in the uk you are available to buy in any corner shop and supermarket, tobacco and alcohol! If we are looking at reducing our risk to cancer causing substances, shouldn’t we remove those huge risks as well, I don’t smoke but I may enjoy the odd drink but I don’t have a choice when I inhale other people’s smoke while walking down the street, surely if we are looking at reducing our risk getting cancer, then more direct action is needed to remove all cancer causing chemicals from our environment starting with the ones that make the biggest contribution? Biggest worry for me with glyphosate is that traces can be found in our food chain, big question has to be how did it get there, it is sometimes used on cereal crops like wheat to ensure the whole crop is ready at the same time, ie kill off the plants that are still green, what I don’t understand is one the crops already finishing the end of their living cycle, how the chemical is transported around the plant? In normal cases it’s absorbed into the plant and transported around the plant via osmosis and that is how Glyphosate is taken around the plant, but in dead and dying Plants, osmosis doesn’t happen so how can it be transported around the plant? My gut feeling is that it stays put on the outside and then ended up in the food chain that way? According to the various investigations, it becomes deactivated once it hits the soil so it cant enter that way can it? Why not just stop using it? TBH there’s not an real alternative out there at the moment and weed control is something we need both in our gardens, urban areas and within the agricultural sector. Yes there are alternatives to using chemical weed control, manual weed control is certainly one of those and I think it is the best one for our gardens, it doesn’t work that well with hard surfaces where pulling out of weeds can damage the material ie mortar. This can lead to bigger repair work using up more materials and producing waste, in other words increasing the damage to the environment. In urban and agricultural areas, going back to hoeing and hand weeding over large areas is certainly possible and would take up huge numbers of the unemployed but would push up food and flower prices and lead to higher council tax bills to pay for the extra labour needed with weed control within council ran areas. With a large number of the population on low incomes, would this really be welcome? With the amount of use food banks are getting now, many 100,000s of people are already struggling to buy food, pushing prices up even more may mean the poor in this country are even more deprived. And of course there are other methods, using a vinegar/salt based method does indeed work but with the method not researched properly, the damage caused could be as bad, with vinegar thought to cause death to bees and salt changing the ecology of the soil (take a look at the spread of sea scurvy grass on the middle lanes on the motorways). Then there’s the heat methods, the naked flame, normally using gas or hot steam or boiling water methods, one with added palm oil. It does work but what about the damage of pouring boiling liquid or treating with steam do to the soil and plant roots, how far does this hot liquid go down? What damage to bacteria, mycorrhizal, Micro insect life and plant roots will this do? No one has the answer and believe me I have asked, the research hasn’t been done on this at all, could we be causing more damage to the top 30cm of the soil? That part of the soil that provides all the basics of live on this world, we should know and understand what we are doing before starting out on anything. Personally (not that my option matters much) I think we should take this time to look at the environmental impacts of all we do to the soil and what happens if we don’t control the weeds in any given area, long term impact on repairs and plant species taking over. Good research is needed to put a long term plan of the best way to control weeds, protect the environment and be cost effective. After the mistakes of the 50/60/70s when chemicals and nitrates were used like sugar in a sweet factory, we need to make sure we use our modern research methods to get it right now for our children. I also think we need to revisit the whole use of chemical approach. Maybe instead of a once a lifetime test, we professionals should be retested every few years and the use of non professional pesticides reduced down so there application is done as per instructions and yes spot checks should happen to those professionals who do use them to make sure they are being used and stored properly. I have seen too many times of spraying being carried out in too windy weather and causing drift, people not wearing no form of protection or eye protection while using and measuring out chemicals and being used in higher quantities just to make it ‘kills the bloody stuff!’. Maybe that’s too far but something needs to change! Really good and interesting read thought provoking. Hi Karen, I once worked for a company that did the steam weed killing system as they’d won a contract to do it. With this we had a diesel truck, a kerosene boiler, and a petrol-powered water-blaster/steam gun unit. This burned about 50 litres of diesel , the same of kerosene and about 10 L of petrol per day. Previously I used a farmbike with an electric pack with a glyphosate / metsulphuron mix (from memory). Another thing with the steam system is that heat initiates many seeds and we were working in a very long drought putting lots of water everywhere we worked – perfect germination conditions. Thanks for letting me know. That’s useful information I shall store up for the future. There’s no easy answers is there. Thanks again. Hi Thomas, I used to be a commercial spray guy. Before that I studied herbicides at uni and am still pretty familiar with my agrichem manuals. Over the last 20 years I’ve slowly found that I was misinformed at best about (especially) glyphosate. It’s a very hard chemical to research, in part, in my opinion, due to Monsanto’s ‘generosity’ towards universities and research institutes. I still recommend the use of herbicides, altho’ glyphosate does require some awareness and I would rather glufosinate. Glyphosate appears to be residual on some soil types (certain clays according to some of my clients). 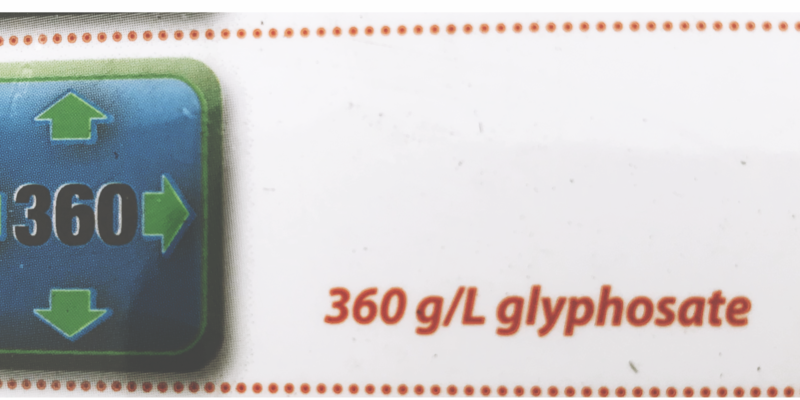 In humans there is a range of enzymes called cytochrome P450, in some of the few studies undertaken glyphosate has been shown to interfere with this core enzyme group. Paraquat in contrast is a simple agent and does not move within the plant, although it remains in the soil for a long time – glufosinate is the same in this. You are fortunate as skin-absorption has killed a number of hort worked within hours of exposure. I’ve also started working with using humates to bind herbicide residues – some biological farmer friends have told me of this, and there’s some good published material on efficacy. Fascinating read. I think you have a reasonable and balanced approach. I try to minimize use of herbicides and pesticides in my garden, but I do use carefully applied glyphosate for controlling poison ivy (Toxicodendron) seedlings. Glyphosate is the most effective tool for the job, with minimal impact on wildlife and surrounding plants and most importantly, does not require me to come in contact with the ivy. I control other weeds by manual removal, but with poison ivy, that’s just asking for a week of misery. Necessity is the mother of invention, right? As long as we continue to allow questionable, synthetic chemicals to be used, they will be used; R&D costs money. When the market supports a natural weed deterrent, you will see money being spent on R&D. Here’s hoping for a ban.